IndianaHauntedHouses.com features all of Indiana's best haunted houses, hay rides, mazes, pumpkin patches, haunted attractions and fall fun that you're looking for the 2019 Halloween Season. Whether you're a thrill seeker looking for the best local haunts across Indiana, or you're looking for Fall Festivals, and the more family-friendly side of Halloween Fun, IndianaHauntedHouses.com has what you're looking for. 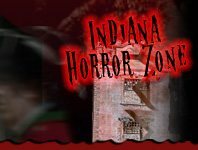 Since 2011, IndianaHauntedHouses.com has helped locals across Indiana make the most out of the Halloween Season with comprehensive listings for all of STATE IN's best attractions, including dates of operation, in-depth bios, photos, social media feeds, and so much more! Our blog also features a deeper look into this year's Halloween Fun, including the latest Haunt News, Halloween Fun & Games, Seasonal DIY ideas, and the nitty gritty details of Indiana's REAL Haunted attractions. Have a local haunt and want to get listed? Give us a call at 888-228-5265 and speak to a IndianaHauntedHouses.com representative today! Do You Have What it Takes to Brave Indy Screampark? Find Out this Halloween Season! Take on the Heart-Pounding Scares that Await at The Haunting at Shireman Homestead! Heart-Pounding Fun Awaits this Halloween Season at Hall's Haunted Halls! Fireworks Special from Goodtimes Fireworks Ensures Your Independence Day Celebration Is Complete with a Big Bang and Dazzling Night Sky! Are You a Halloween Fanatic? Six Ways to Incorporate "Nightmare Before Christmas" Into Your Holiday Decor This Season! Some Like It Hot! Indiana's Top Halloween Candy for 2017 a Sweet & Spicy Treat! Hall's Haunted Halls Provides Thrillseekers with Heart-Pounding Fun this Halloween Season! Travel to the Edge of Insanity this Halloween Season & Take on the Frightening Fun! Find Out What's In Store at Dark Nightmares Haunted House for the 2016 Halloween Season!